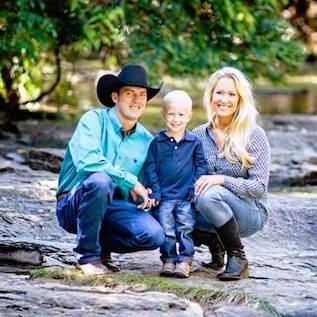 Welcome to Schumacher Cattle! 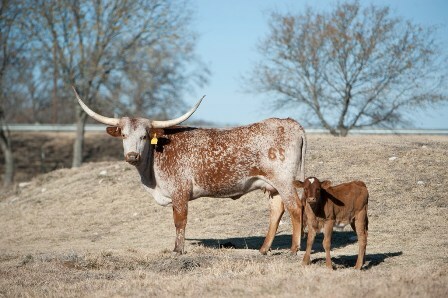 We are glad that you've taken time to learn more about our beautiful longhorn cattle. 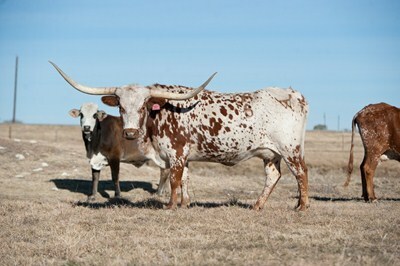 We strive to have a herd of elite quality longhorn cows. Scott artificially inseminates a majority of our cattle to ensure that we have breeding our herd that is both popular and the best in the industry. We strive to maintain a small herd of quality cattle that are both a joy to own and profitable to manage. We would love to help you either begin your own herd of longhorns, or add a productive cow to your existing herd. We have cattle that have proven genetics with excellent dispositions. They are a joy to own. Please enjoy learning more about us and our longhorns. We hope to meet you at a longhorn event very soon! Thanks to Hudson Longhorns for their recent purchase of VV Champs Lil Eagle. 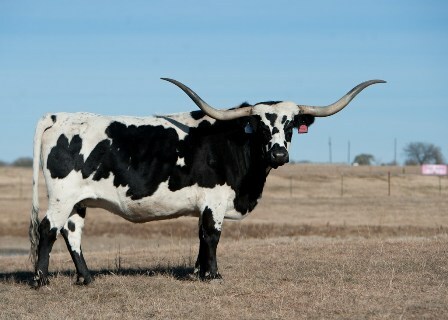 We know that they will enjoy owning this great longhorn cow! Congratulations and thank you to Chad Smith of ND for his purchase of GS American Honey at the Midwest Longhorn Sale. Congratulations and thank you to Kurt and Glenda Twining of Dallas, TX for their purchase of Sheaspook at the Midwest Longhorn Sale.